The gist: Little things matter. No matter how busy things get, don’t let the fundamentals—like keeping your environment tidy—slip. Once that was done, it was work time. Some days there’s little to do, and I can lounge though the morning. Other days there’s too much to do. No matter which kind of day it is, though, I try hard not to abandon that morning routine. Some could say it’s a distraction from more pressing matters , but I’ve learned it’s the best way to keep myself calm and productive no matter how busy I get. These are the fundamental things that keep my life running smoothly so the bigger projects can be tackled without added stress. It improves my work and keeps me happy. If you’re the type of person who feels habitually over-worked, stressed out, and overwhelmed (and probably not producing quality work) there’s a lesson here. When something goes wrong in a big way—a once great sports team loses to a no-name underdog or a successful business goes under—it’s almost always for the same reason. At some point during their rise, they quit paying attention to the fundamentals. They advanced so far and spent so much time perfecting the fancy stuff that they lost sight of the basics. And when the basics crumble, the fancy stuff doesn’t matter any more. In The Tipping Point, Malcolm Gladwell writes about George L. Kelling and James Q. Wilson—two social scientists who pioneered a new way of policing in major cities across the world. 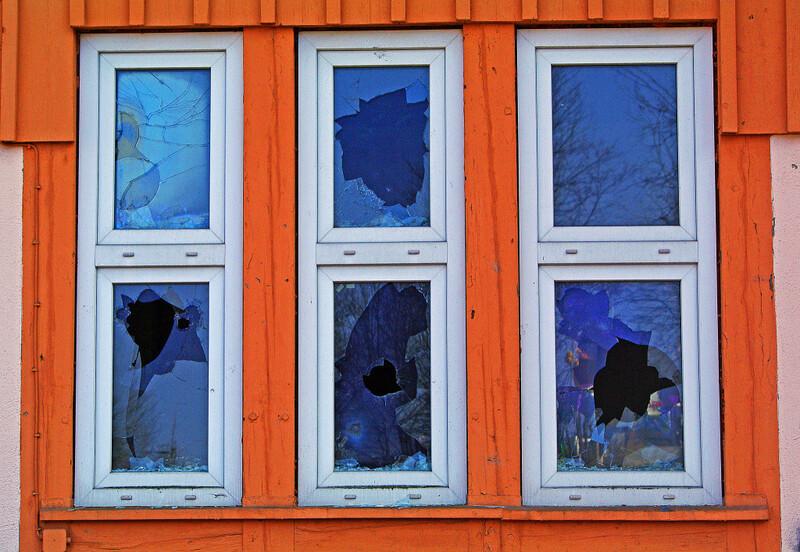 Their work was built on top of what’s called “Broken Windows Theory.” The idea is that if you quickly remedy small crimes, you’ll prevent bigger ones. This policing theory is often cited as the reason for the dramatic drop in crime in New York City in the 90s. Police shifted their focus to dealing with petty crime, and more serious crimes became less and less frequent. The reason life feels overwhelming probably isn’t because you take on too many projects or responsibilities2, but because the fundamentals get lost as you start to panic and focus your energy on things that feel more urgent. Righting the ship and getting things back in control require setting some counterintuitive priorities. I imagine it was hard for NYC police officers to focus their attention on having a broken down car towed when there were so many big crimes to solve, but that reprioritization helped them eliminate the bigger crimes. Further reading: Overwhelmed? Eliminate Work by Reorganizing It. You can follow that lead in your own life. If things get busy and you let your home, relationships, and happiness flounder while you put out fires elsewhere, eventually you find things just get worse until the things you thought were important don’t feel important anymore. Then you have to rebuild from the ground up. But if you take time to find those potential broken windows in your life—the fundamentals that make everything else work—the bigger aspirations start to take care of themselves. Going for a run even when I don’t feel like it so I feel energized. Making my bed first thing in the morning even when there’s too much to do. Cleaning the kitchen so my wife doesn’t resent me when she comes home ready to make dinner. These things get done every day, whether I’m busy or I’m not. And the better I do at prioritizing them, the less things seem to get out of control in the first place. To get started right now, think about your own fundamentals. Make a list of the bedrock tasks you need to prioritize every day in order to work on your bigger goals with less stress. Though it’s certainly a contributing factor.